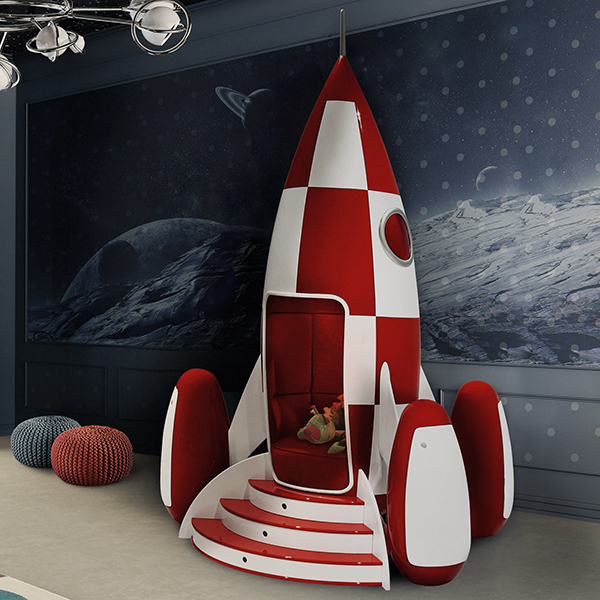 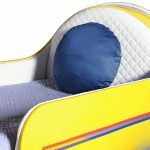 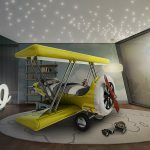 What an amazing childrens bed designed in Portugal and brought to you by Robson Furniture. 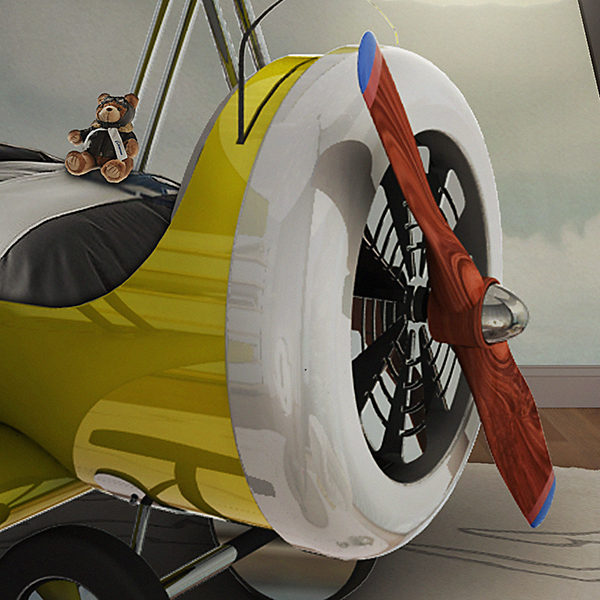 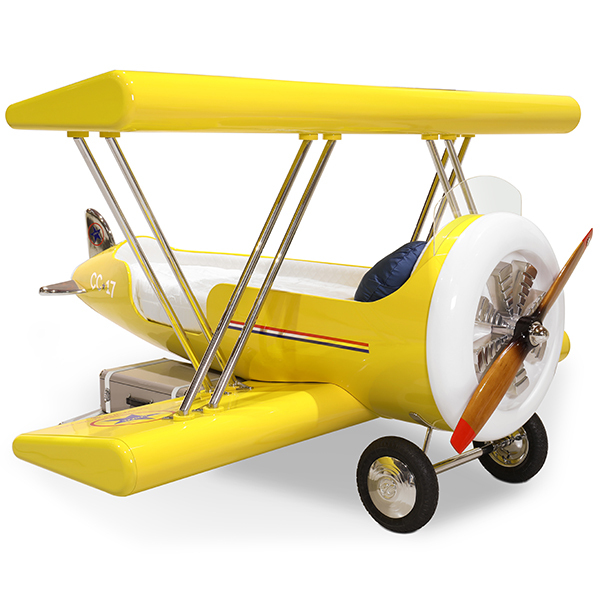 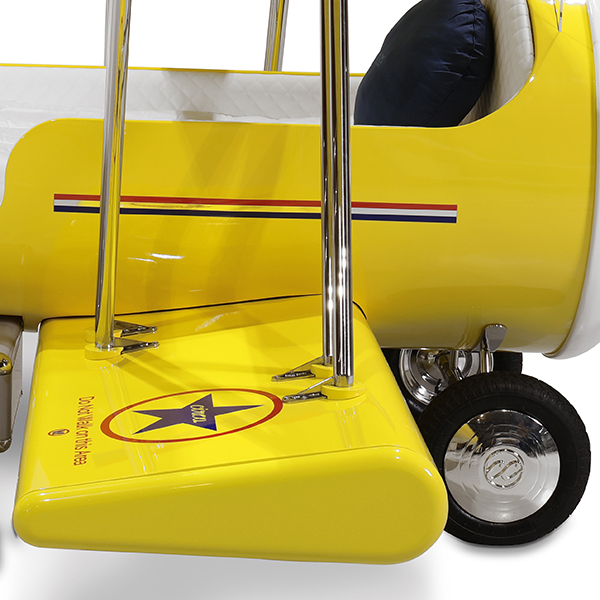 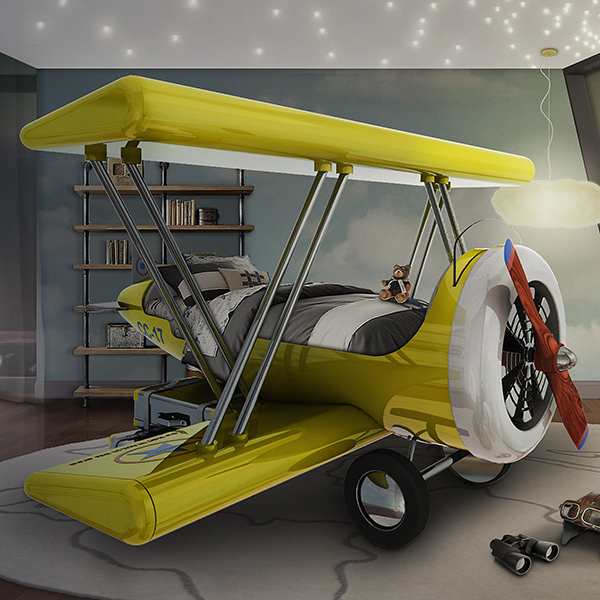 Based on a very popular Disney movie ‘Planes’, this plane bed is for those little pilots. A very exciting piece which will certainly make the crib to bed transition very easy and straight forward. 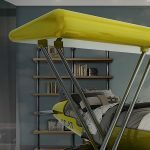 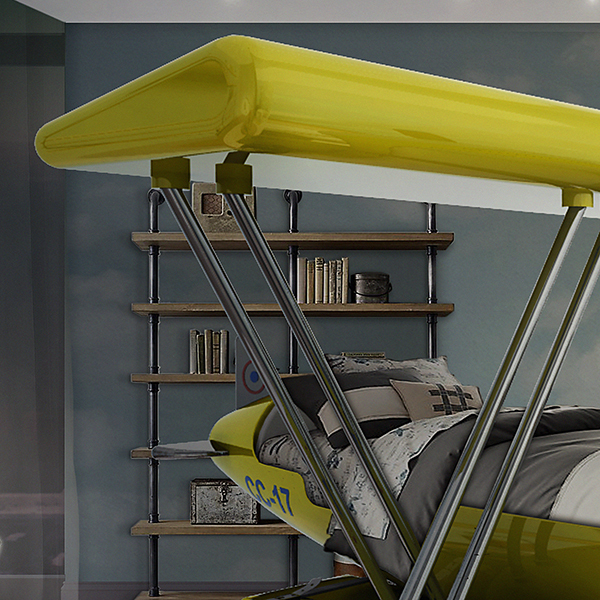 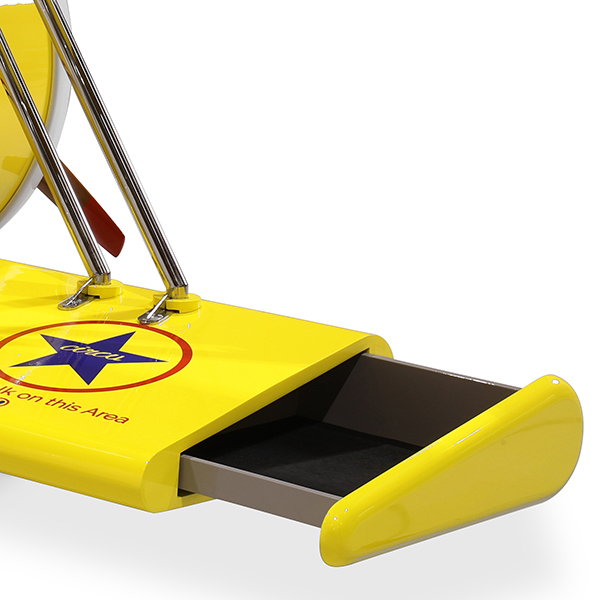 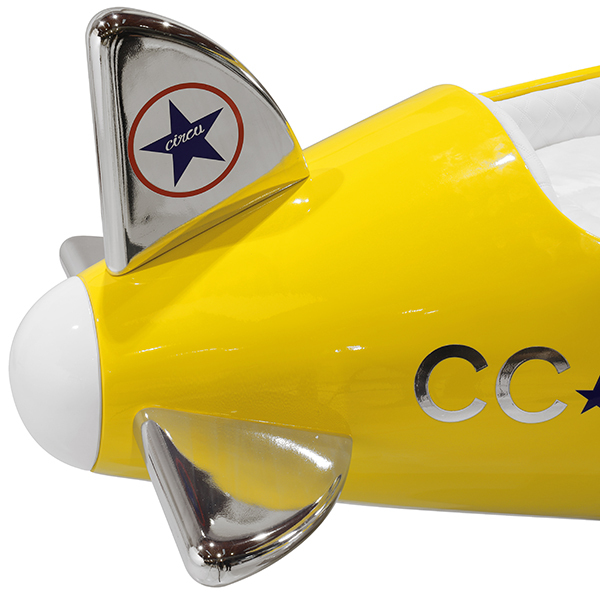 This creative plane bed can also be altered when it comes to changing the colour to your specific requirement. 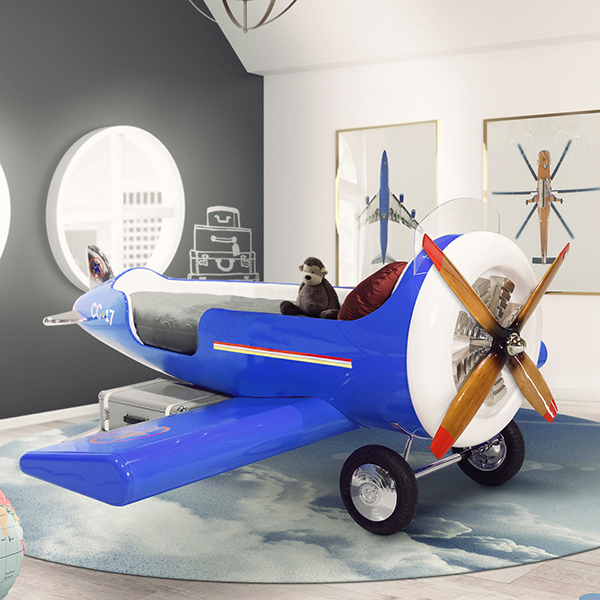 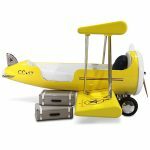 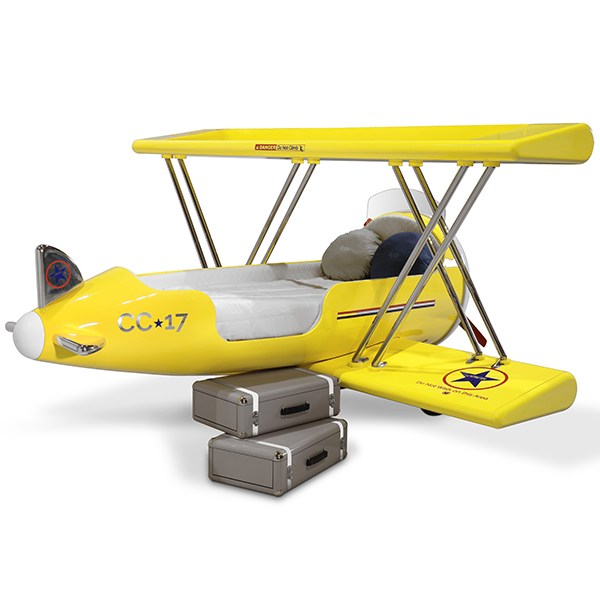 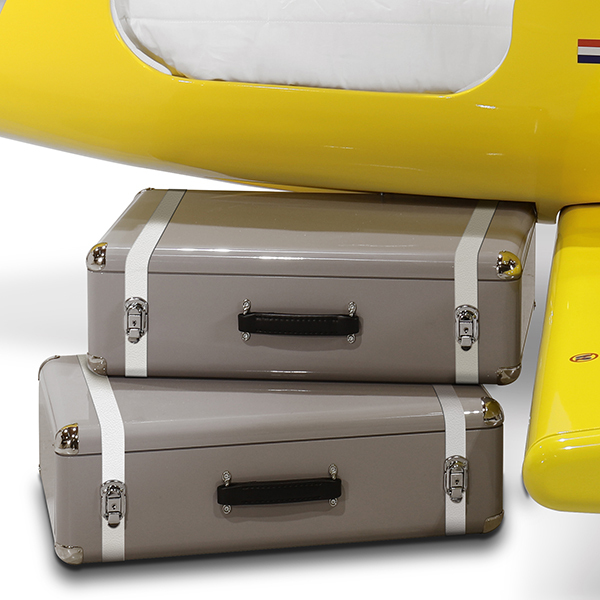 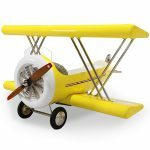 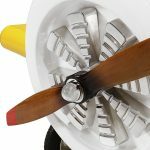 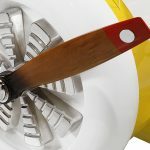 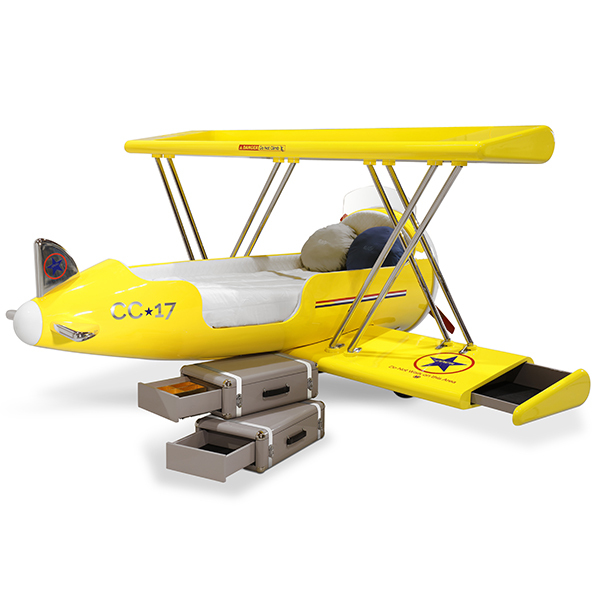 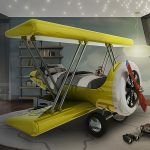 This limited edition plane bed is made from fiber glass, rubber, stainless steel and solid wood. Once built, the plane bed is then given a chrome plated finish and a glossy varnish. 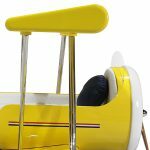 With its very playful design, this plane bed features several storage compartments which help your little ones keep their rooms neat and tidy. 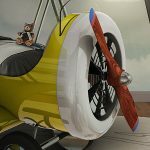 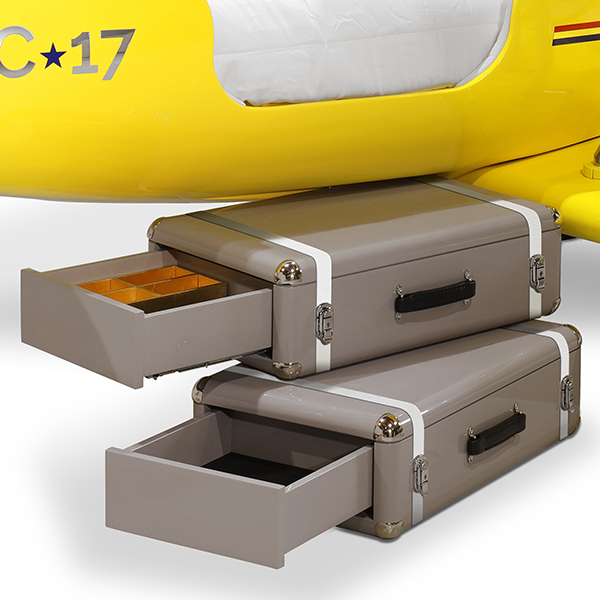 The suitcases not only help to climb up and down the airplane but are also storage compartments which provide plenty of space. 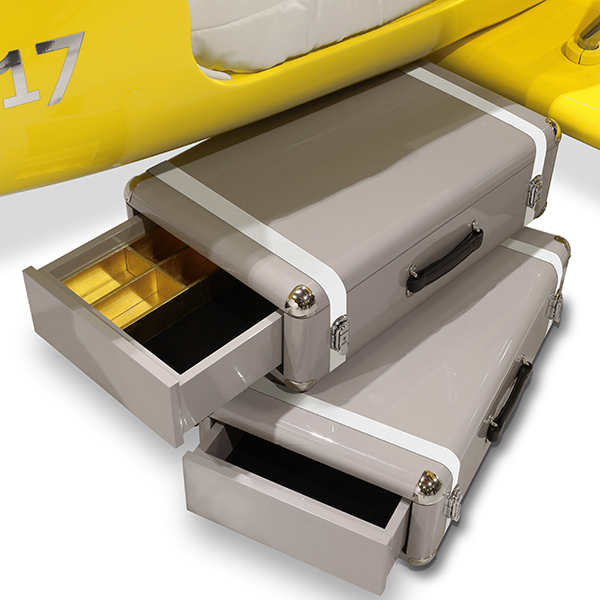 The ends of the wing tips also have hidden drawers and the top wing can be used as a shelf. 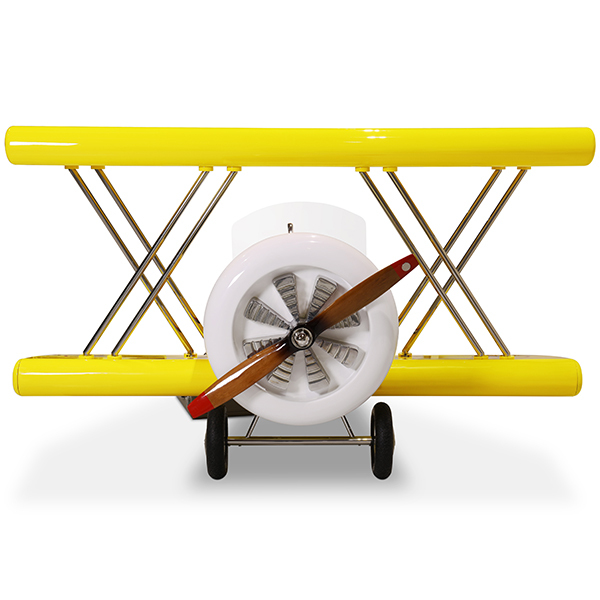 A lot of our customers like to add our Sky Rug when ordering this item.